Hyacinth Mixed | Gurney's Seed & Nursery Co.
Richly colored and heavily fragrant, this delightful mix of colorful varieties is ideal for beds or borders. Bulbs can be forced to bloom indoors. Plant in full sun to partial shade. Blooms in spring. Grows 8-12 in. tall. Zones 4-9. 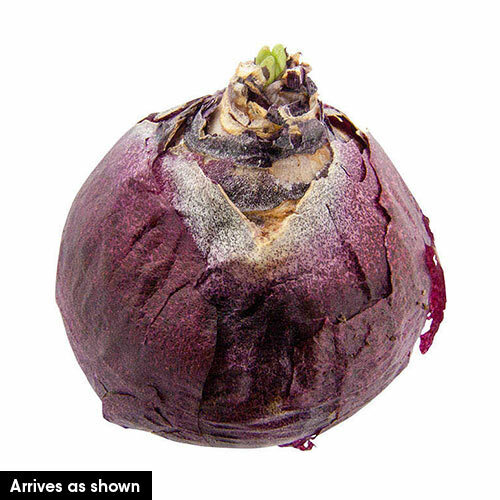 14-15 cm bulbs. FoliageMedium, bright green foliage, linear with curved edges. PruningRemove faded flowers but leave the foliage intact until it dies back naturally. Leaves provide nourishment for bulbs to produce future growth and blooming. 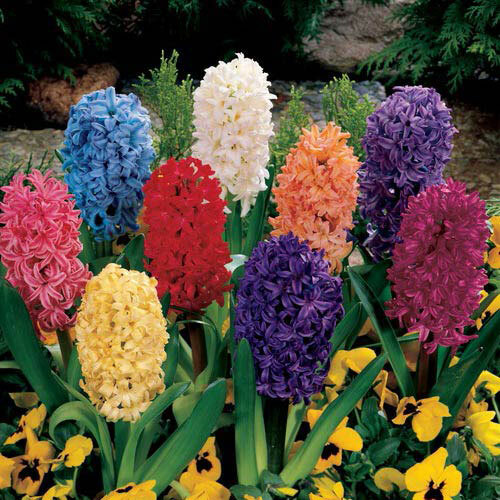 CommentsWhat would spring be without the sweet fragrance of Hyacinths? Tempt customers with a selection of 7 popular varieties. Ideal for beds and borders-or as informal accents among perennials or ground covers.